Cool Cucumber Mint Juice With A Twist !! This refreshing cool cucumber mint juice will surely help you beat the heat this summer. 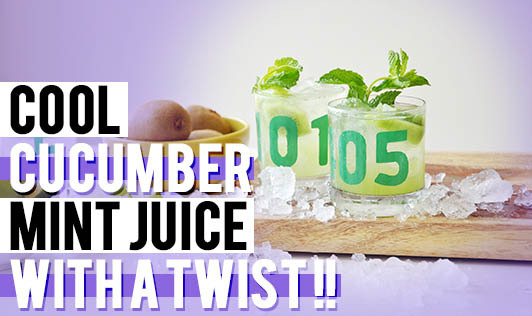 This low calorie drink is not only tasty, but also keeps your weight in check. • If weight is not an issue to you, you can use 2 Tablespoons of sugar or honey instead of a sugar free sachet.